King Abdullah Port, owned and developed by Ports Development Company, and Maersk Line, the world’s largest container shipping company, celebrated recently their partnership for Maersk Line to begin operations at King Abdullah Port, where the port will receive its vessels and containers. 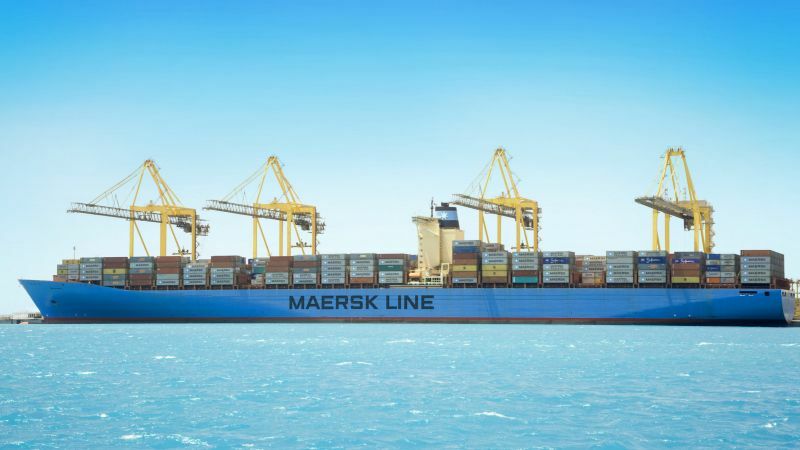 The celebration was conducted while hosting one of Maersk Line’s largest vessel, measuring a length of 398 meters in the presence of a number of officials from the Saudi Coastal Guards, Saudi Customs, Economic Cities Authorities, Eng. Abdullah Bin Mohamed Hameedaddin MD at Ports Development Company, Mr. Mark Gijsbrechts, Chief Executive WCA Region at Maersk Line, Mr. Ziad Kanaan, Board Member at National Container Terminal Co., alongside several senior officials from Ports Development Company and various clients of Maersk Line in Saudi Arabia. Marking this occasion and celebration for the importance of this strategic partnership, the attendees also boarded the hosted vessel, where Eng. Abdullah Hameedaddin welcomed the crew on board and presented the Captain with a souvenir and token of appreciation. Engineer Abdullah stressed on the importance of this partnership, describing it as a “vital partnership with exceptional value”, reaffirming the uniqueness of the services and standards available at the port, making it a major stop of importance, being able to gain trust of renown shipping lines around the world and hosting such large vessels to service local and regional markets. Ports Development Company aims to position King Abdullah Port, as a unique example of world-class excellence for providing valuable benefits for long-term users from the public and private sectors, as well as the constant quest to integrate and work side by side with Saudi Ports System to enhance the capabilities and operational efficiency to meet the increasing demand for the movement of import and export, and providing the requirements for the construction of major vital projects, meeting the requirements of comprehensive development renaissance that the Kingdom is currently witnessing.